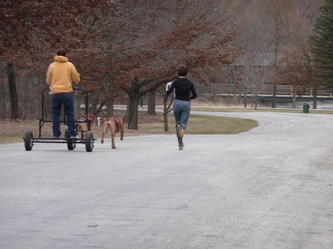 we've enjoyed a new venue, off-season sledding (or carting). 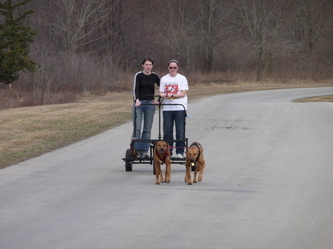 for crossing over frozen lakes so as to prevent the loss of the whole team if one dog were to fall through the ice) over a more traditional "gangline hitch" (seen in the first photos) suits our "team" best. 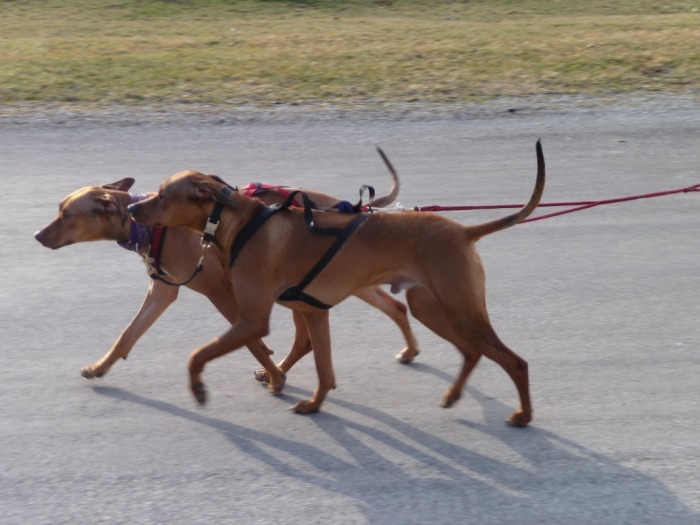 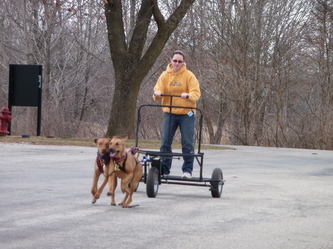 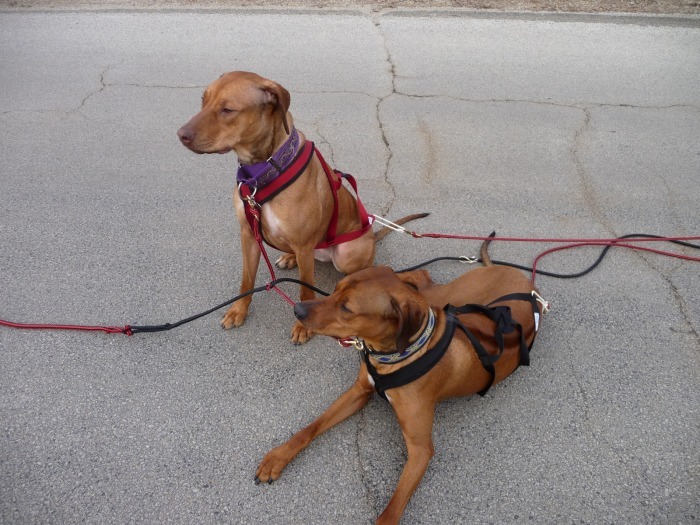 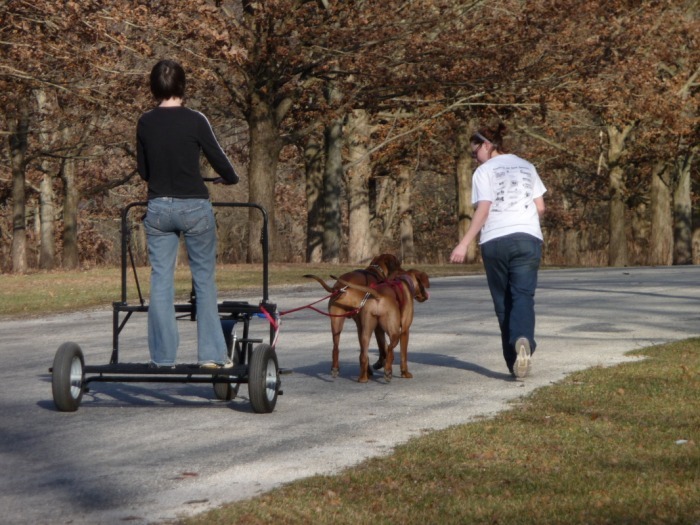 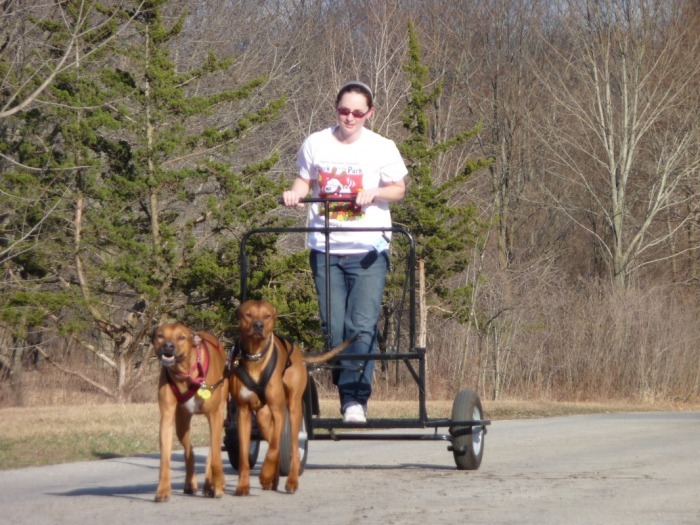 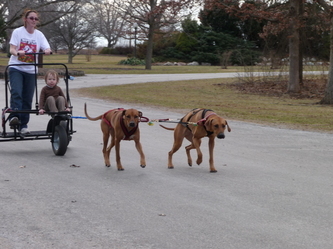 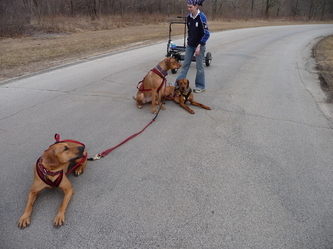 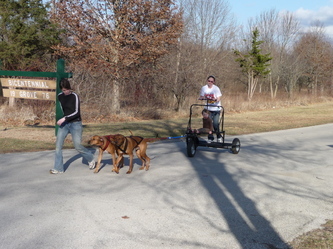 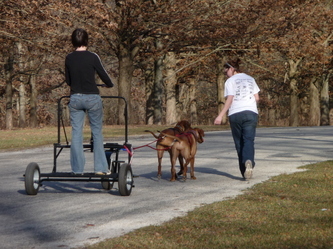 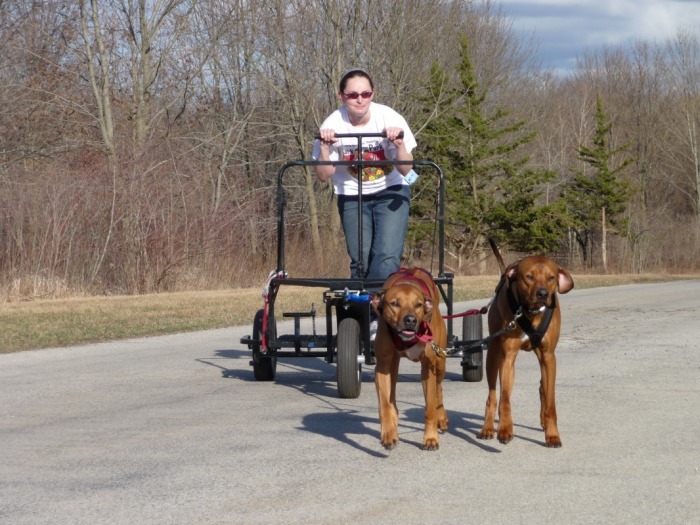 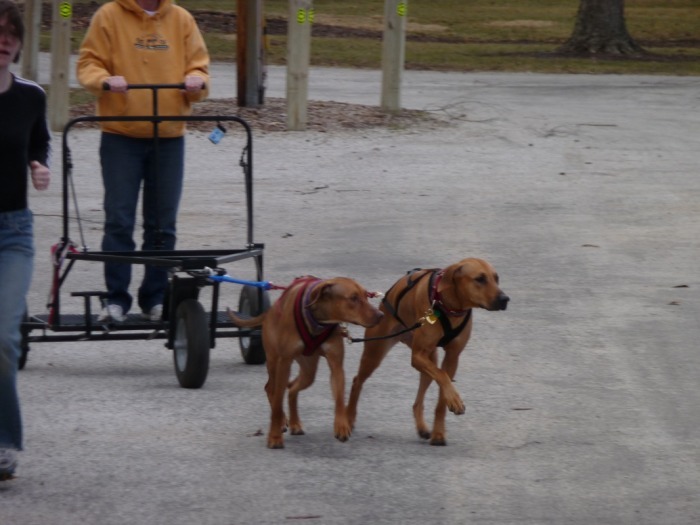 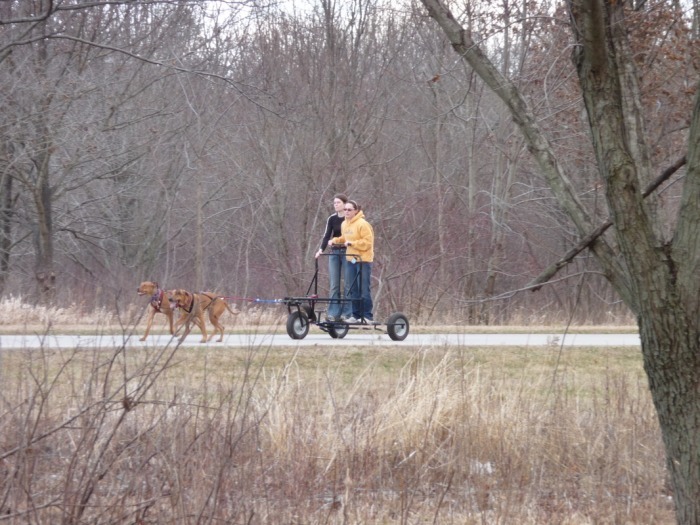 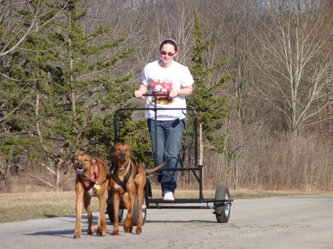 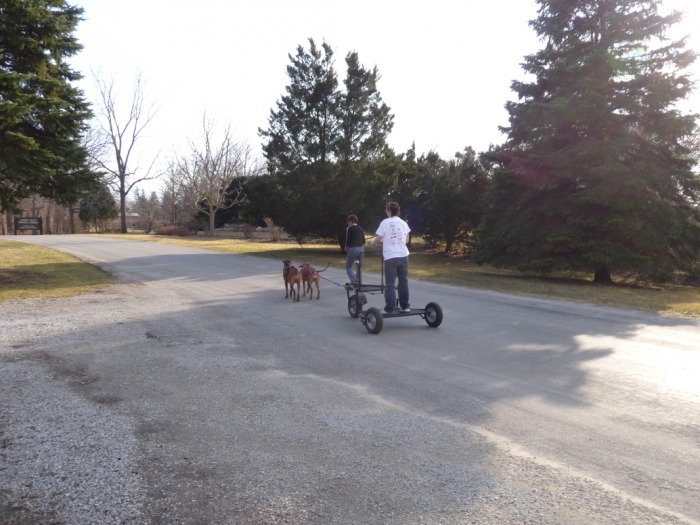 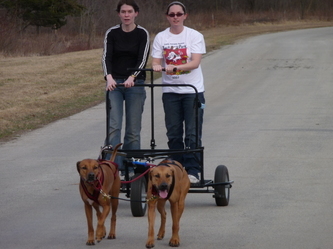 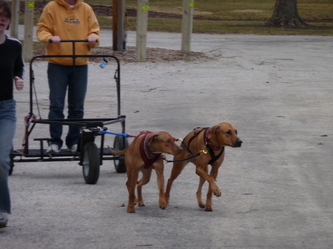 Our dogs tend to run more contently in a side-by-side formation, instead of wheel or team dogs following a lead dog. 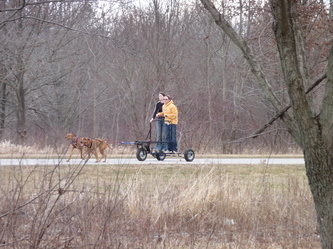 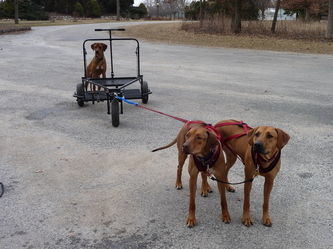 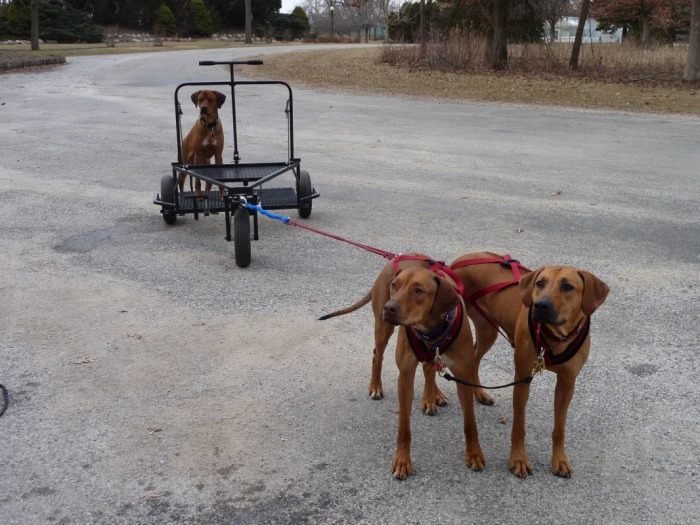 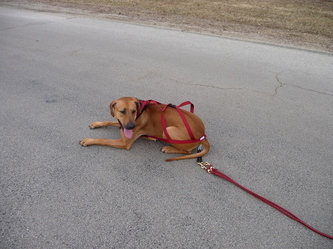 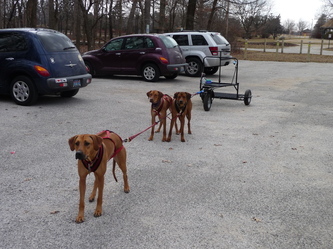 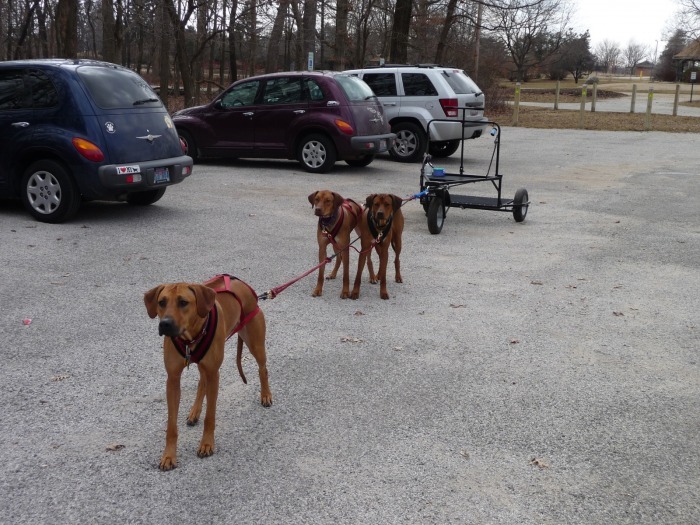 to it's intended winter venue... ridgebacks and sledding, here we come?